UFO sightings have started appearing once again. After a few months halt in the appearance of these unknown flying objects, these flying machines have started appearing again in different parts of the world. 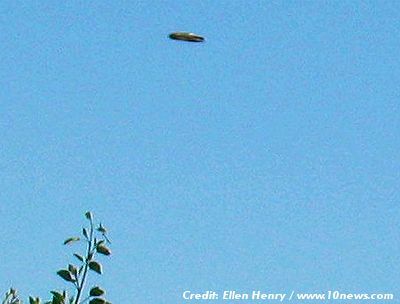 Reports coming from Southern California have said that a saucer like flying object was seen hovering over California barn. So far not many reports of such sightings of UFOs have come from this part of the world and so there was huge enthusiasm among the locals about the object that looked like something from outer space. Many people believe that these UFOs contain aliens who come to see our world, the way we send our astronomers and probes to different places in the unknown world. But notwithstanding several such sightings in recent years, leading space agencies in the world including NASA and European Space agency have not spoken a single word about these sightings and about the fact that there were UFOs in the air. With so much developed air defence systems in place throughout the modern world, these unknown flying objects have never been talked about by any government anywhere. Last year an UFO was sighted near a Chinese airport that caused the airport to stop functioning, but then too no official reports came about it. . . .
UPDATE: Viral 'Video Of Explosion in Space' is a Weather Balloon - Yes Really!